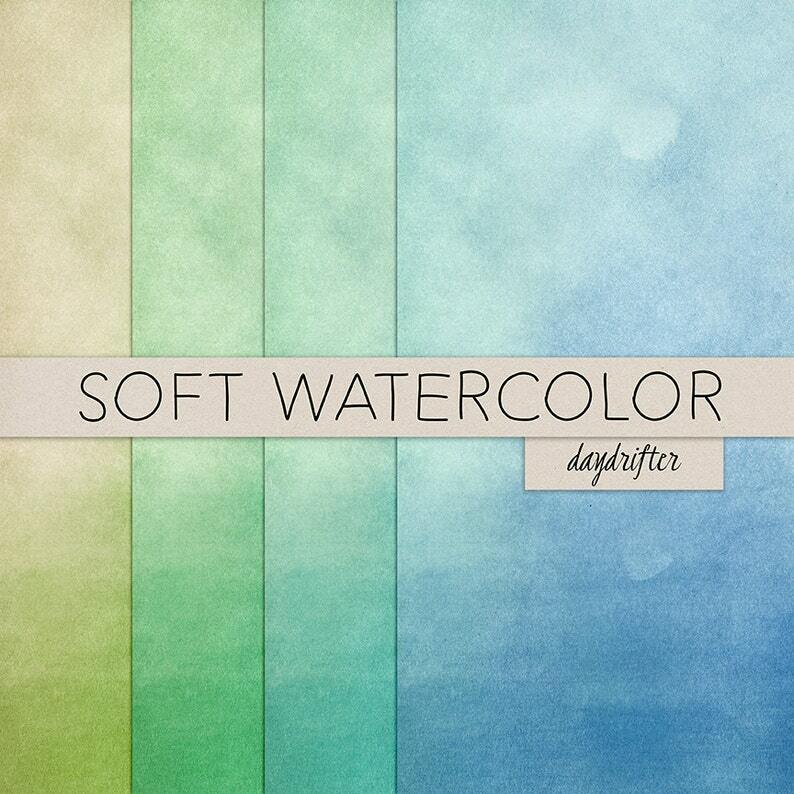 This paper pack includes 4 ombre gradient watercolor digital papers in shades of lime, green, teal and blue. Use them for your digital scrapbooking pages or print them to use in your commercial projects. You can use this papers as the background for your blogs, website, computer screens, and cell phone screens. Use these papers to create custom party decor for a boy or girl's birthday party, baby show, bridal shower, wedding, or other occasion. You can use the digital paper to make stickers, labels, elements in your digi or hybrid scrapbooking, card making, and more! This set includes 4 high-resolution (300ppi) 12"x12" papers in JPG format. This is a digital product and no physical product will be sent. All files will be in a folder in .ZIP format, you will need to be able to unzip the file folder to use them. This printable item is intended for PERSONAL use and LIMITED COMMERCIAL use.